MIDFIELDER Cleopas Kapupurika dumped Dynamos and has crossed the floor to Highlanders ahead of the 2019 Castle Lager Premier Soccer League, coming in as a direct replacement for Gabriel Nyoni, now at Caps United. 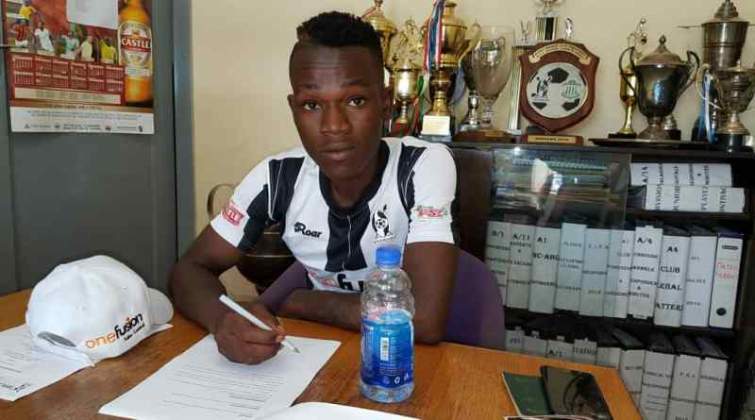 Highlanders chief executive Nhlanhla Dube yesterday confirmed that the industrious midfielder was a Bosso player after penning a two–year contract. "He is one of the players that the technical team wanted and we have agreed terms with him. He has signed for two years with us and comes in as a direct replacement for Gabriel Nyoni. He is 22 and fits well into the age group that the coach (Madinda Ndlovu) wants. There are other players that the coaches have shown interest in that attended our trials at the weekend, but that is work in progress," Dube said. Kapupurika joins Highlanders as a free agent. Dube hinted on his Twitter page that Bosso could be done with the recruiting of players in the current transfer window. "A few more bus stops and then no more vacant seats. Passenger manifest ready for the printer." Two other players who attended trials at Highlanders that are likely to sign for the Bulawayo giants are goalkeepers Wellington Muuya and Alfred Chiname, formerly with Bulawayo City and Mutare City, respectively. Highlanders have already made three major signings in Prince Dube, Bukhosi Sibanda and Nqobizitha Masuku.